The cosplay community has had its fair share of drama, with a few cosplayers and photographers being accused of sexual assault. 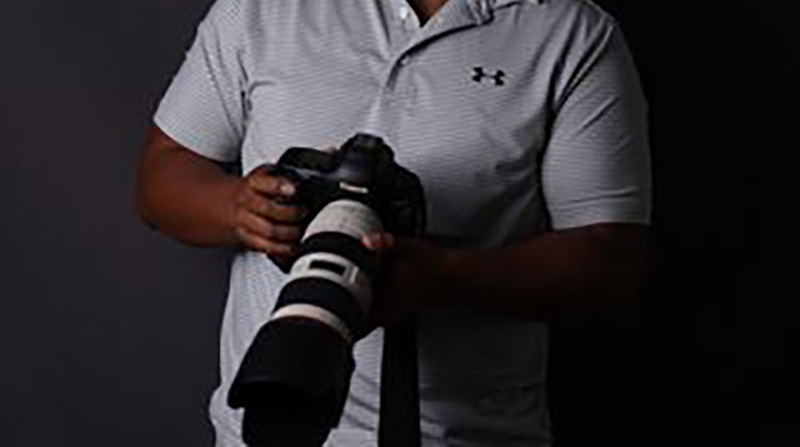 Now we have controversy surrounding cosplay photographer Michael Benedict, with people coming forward that he has placed hidden cameras in the changing room during photoshoots. 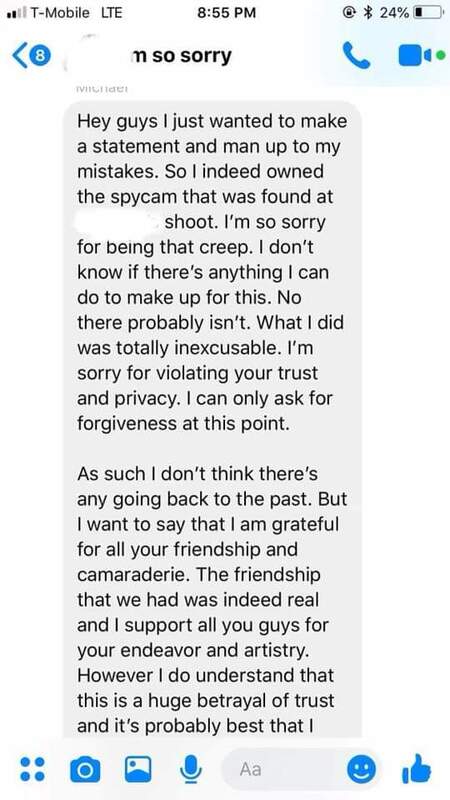 Benedict is a known cosplayer photographer in the Southern California area, and he has allegedly admitted that he was recording footage of cosplayers changing in the studio’s changing room without their knowledge and consent. Cosplay Photographer Alliance Events Page and other groups have made public posts about this. Benedict was contacted by many, and he seems to be admitting that he was the one responsible for recording models in the dressing room. Soon after Twitter user Luciferbob has commented about this while posting screenshots of Benedict’s alleged conversation where he admits that he was using spy cameras to record the changing room. Well this is disgusting to hear. A cosplay photog was caught hiding a spy cam inside a changing room at a studio that they used. 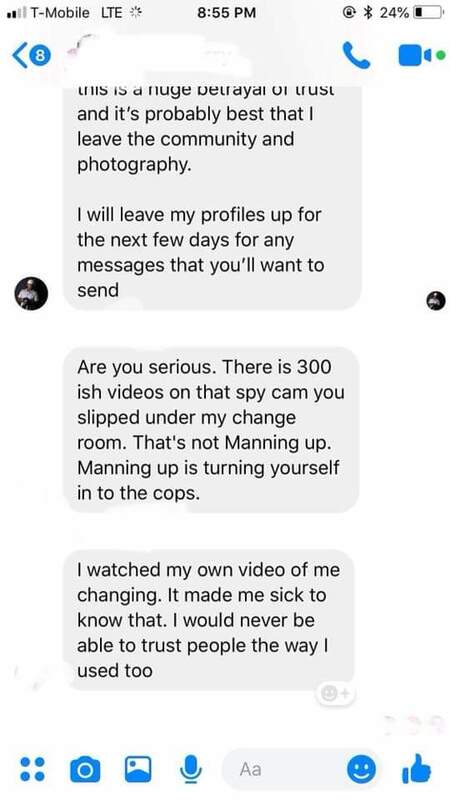 The alleged conversation reveals that there were 300 videos, with Benedict admitting guilt of having the spy camera and invading the cosplayers’ privacy. He apologized to all the cosplayers involved and said that he’ll be removing himself from the cosplay and photography community. The post Photographer allegedly caught using hidden cameras on cosplayers appeared first on Nerd Reactor.